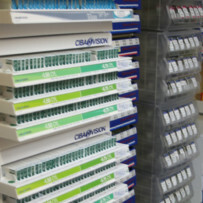 We take pride in providing the highest quality of contact lens care! Contact lens selection is based on more than simply your prescription. Selection also needs to account for vision problems, eye health, comfort and lifestyle requirements, age and other factors such as tear flow. Click here to fill out our Contact Lens Evaluation form and come in and see us for an appointment!